March 18th is Paint Nite: In just about two hours, while you’re sipping on a craft brew or local wines, our performing artists will guide you through each painting so that you come up with your own unique masterpiece at the end of the night that you will be amazed YOU created. We provide everything you will need: canvas, paints, brushes and even a smock. You just bring your fun loving friends and have a few cocktails to keep the spirits high and inhibitions to a minimum and we’ll make sure your inner Picasso is unleashed. Click here to check out the website and order your tickets today! Seating for 25 people available at 1 pm and 6 pm service. 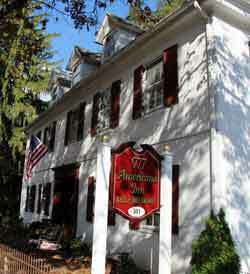 Tickets are $60.00 per person and includes tax, gratuity and service of food and beer (8oz pour of all 5 beer styles). Email Denise at 1777bfb@gmail.com with any questions or stop by the brewery to purchase your tickets. The Savory Gourmet visits the Black Forest Brewery between 6 and 9 PM. Come sample exotic meats and cheeses as you enjoy a delicious craft beer. This event is free to our customers. It is time for our second competition of the year! 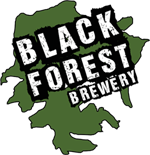 As many of you already know, the sixth tap at Black Forest Brewery has been designated as a competition tap. What this means to you . . . home brewers may enter their brews into the competition, winning recipe is brewed here and earns bragging rights to the sixth tap until the next competition is held! The competition fee is $30.00 per entry, with a portion of the proceeds being donated to a rotating fundraising event. The recipient of this event’s competition fee is Steffy Towing Make A Wish Foundation. 1. All entries must provide two unmarked 12 oz. bottles of their brew. 2. All entries must be submitted April 1st till April 15th. 3. The style of beer is Brewers Choice . . so surprise us with your creativity. Keep in mind the five flagship beers Black Forest already has on tap! 5. First 40 applicants received are eligible to compete. Winner will be announced on April 15th at the Black Forest Brewery. Download a copy of the Sixth Tap Competition entry form here. Please print out and either mail or scan & email the form back to us. Souper Bowl Special: Take home a filled growler with a quart of our legendary chili, kicked up with Black Forest Brewery Amber Ale. A perfect combination for your Super Bowl Party! March 4th is Paint Nite: In just about two hours, while you’re sipping on a cocktail, our performing artists will guide you through each painting so that you come up with your own unique masterpiece at the end of the night that you will be amazed YOU created. We provide everything you will need: canvas, paints, brushes and even a smock. You just bring your fun loving friends and have a few cocktails to keep the spirits high and inhibitions to a minimum and we’ll make sure your inner Picasso is unleashed. Click here to check out the website and order your tickets today! February 12, 13, 14, and 15 — Valentine’s Chocolate and Brew Pairings. Taste the delicious chocolates from Lorah’s Handmade Chocolates paired with Black Forest Brews! $10.00 for chocolate and beer flights while supplies last! 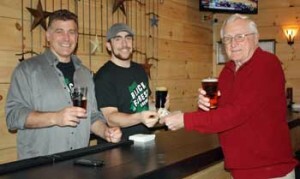 As many of you already know, the sixth tap at Black Forest Brewery has been designated as a competition” tap. What this means to you . . . home brewers may enter their brews into the competition, winning recipe is brewed here and earns bragging rights to the sixth tap until the next competition is held! Winner will be announced on February 1st at the Black Forest Brewery. All entries will be invited to attend a private “edutainment” event that evening between 6:00 and 8:00 pm.